X-WATCH SOE XW PURE – The elegant hybrid smartwatch for ladies. 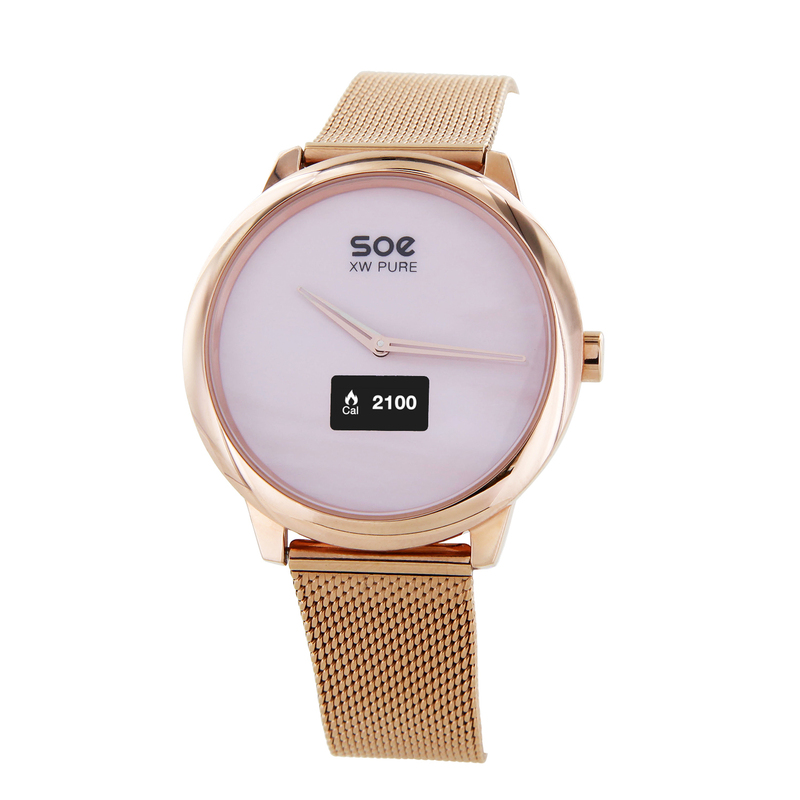 Analog Quartz time display in a gold-rosé stainless steel design combined with an intelligent, digital smart touch OLED display. 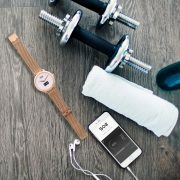 Features: Steps, distance, calories, sleep-tracker, alarm clock, time & date, push-notifications for ingoing smartphone notifications (WhatsApp, Facebook & more). Bright and sharp display with an intuitive control in the touch area. Simple setup and synchronization with the free smartphone app for Android (version 4.3 or higher) and iOS (version 8.0 or higher). 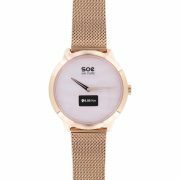 The timeless elegance of the SOE XW PURE with its plain dial and fashionable nacre accents convinces with a valuable and subtle Milanaise wrist band. 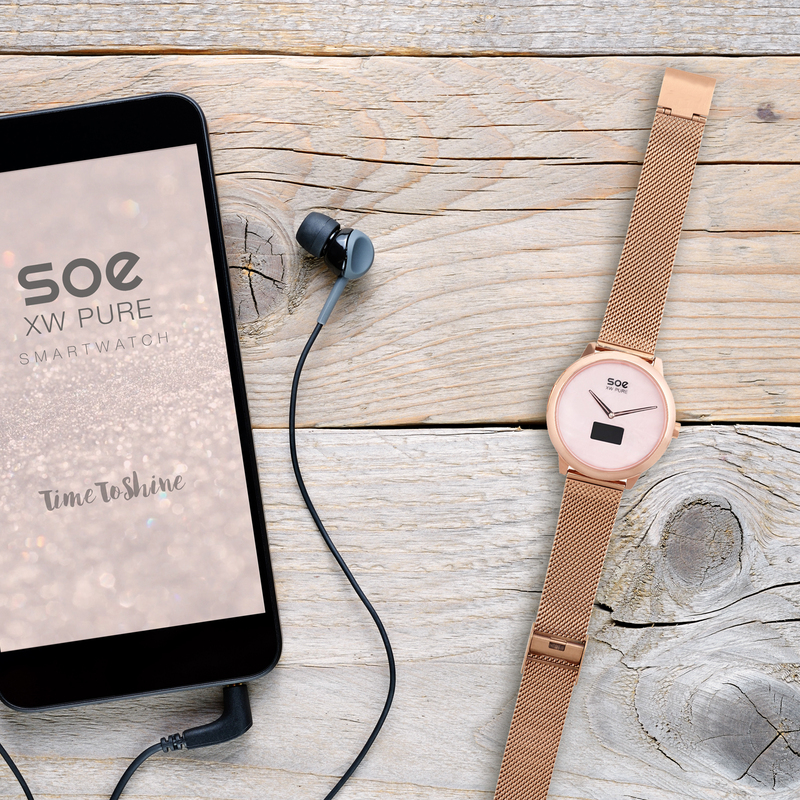 The SOE XW PURE is the stylish must-have for every purpose. Compatible to Samsung, Apple iPhone, LG, Sony, Huawei, HTC, Honor, and many more smartphones. USB-charging station, USB-cable and Quick Start Guide contained. Easy connection thanks to the free application. SKU: 54017. 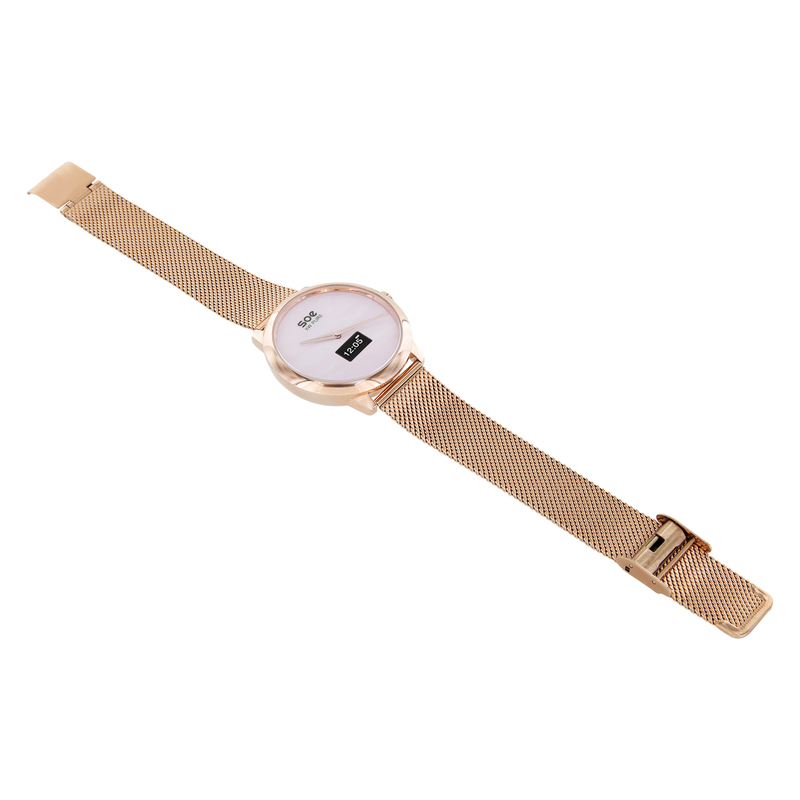 Categories: Smart Watch, Smart Watch All, XLYNE PRO. 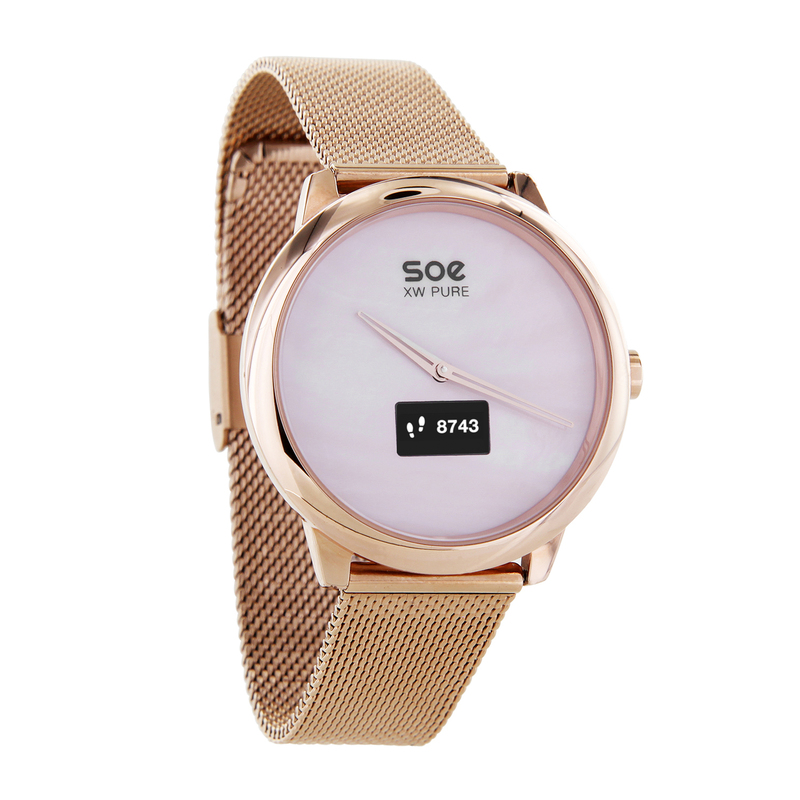 We present our new ladies watch SOE XW PURE, the Quartz smartwatch. The model combines an analog design with smart connectivity. 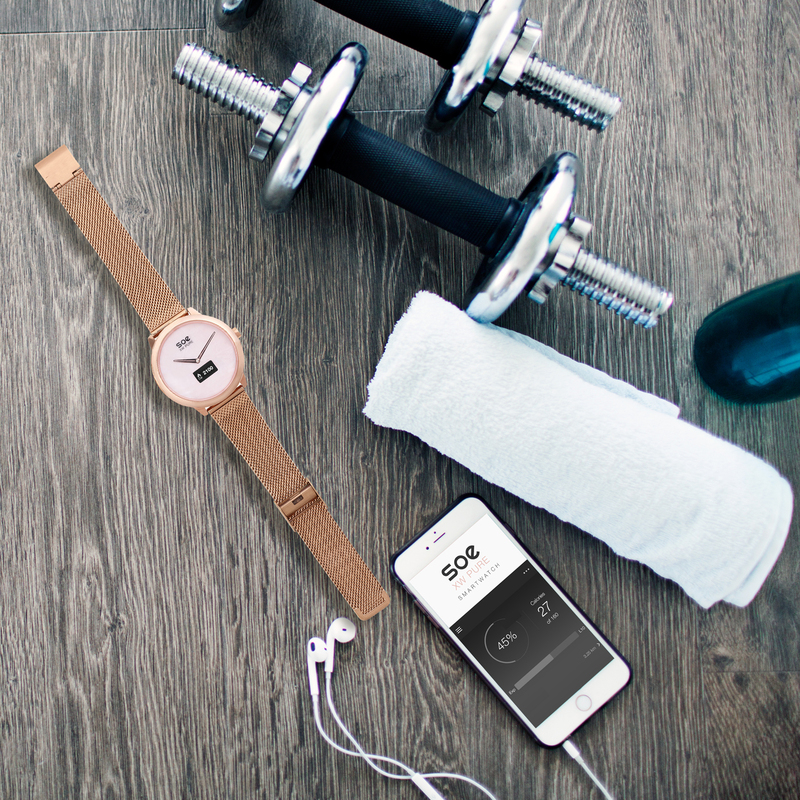 The unique highlight of the watch is its novel, integrated digital touch display with which you can track your steps, distance and burned calories at any time. Receive notifications of ingoing WhatsApp, Facebook and SMS messages and view on the OLED screen, who is calling you. 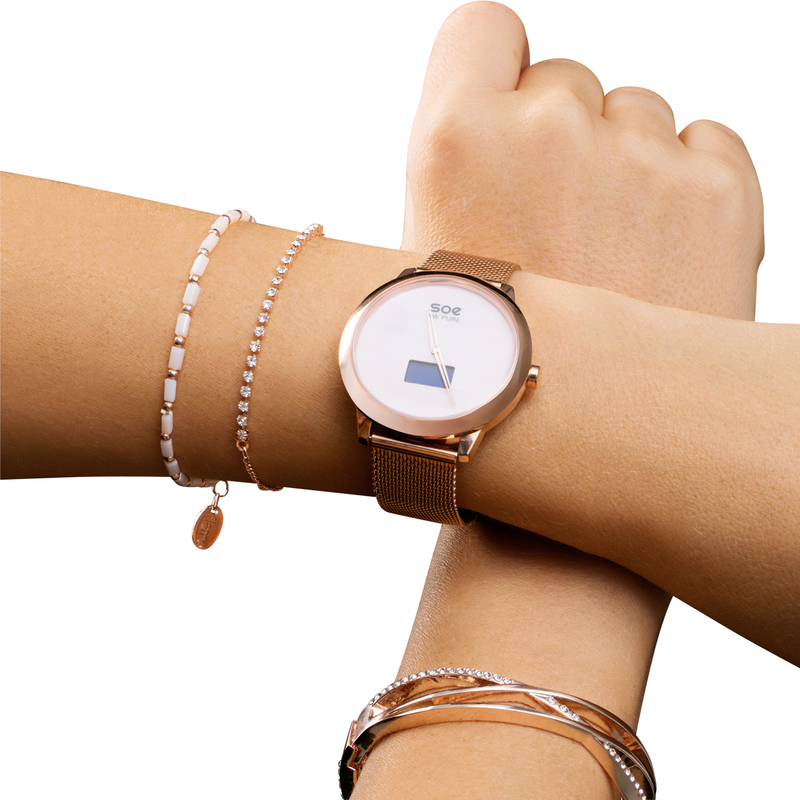 Be remembered to set alarms or appointments by a soft vibration. 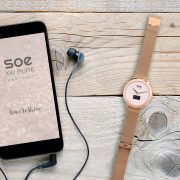 The hybrid smartwatch SOE XW PURE is the stylish must-have for your wrist and thereby always connected to your Android- or iOS- smartphone. 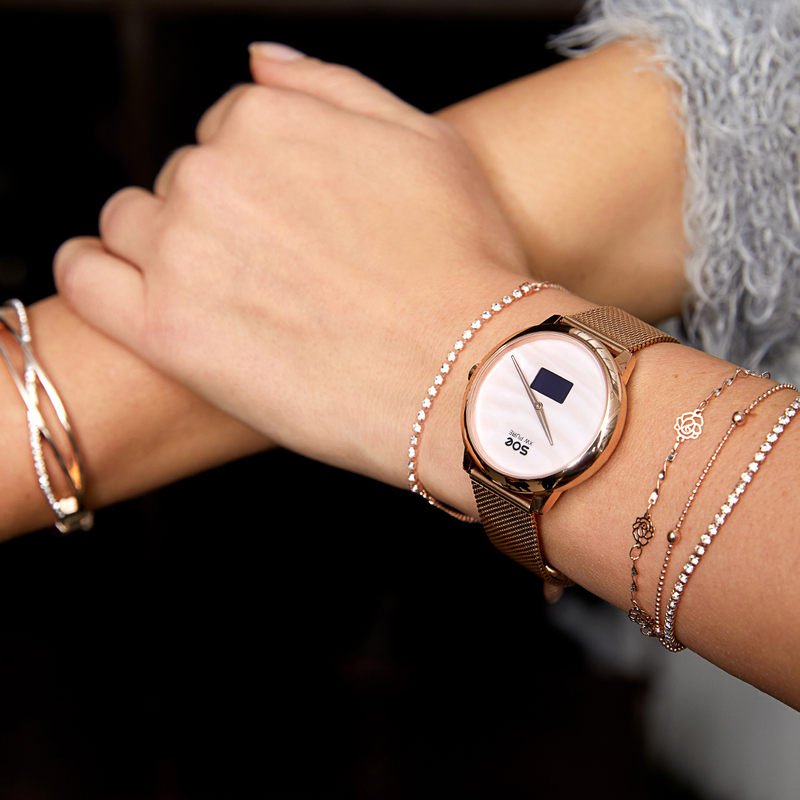 The feminine watch with the analog style impresses with its modern gold-rosé-colored stainless-steel design. 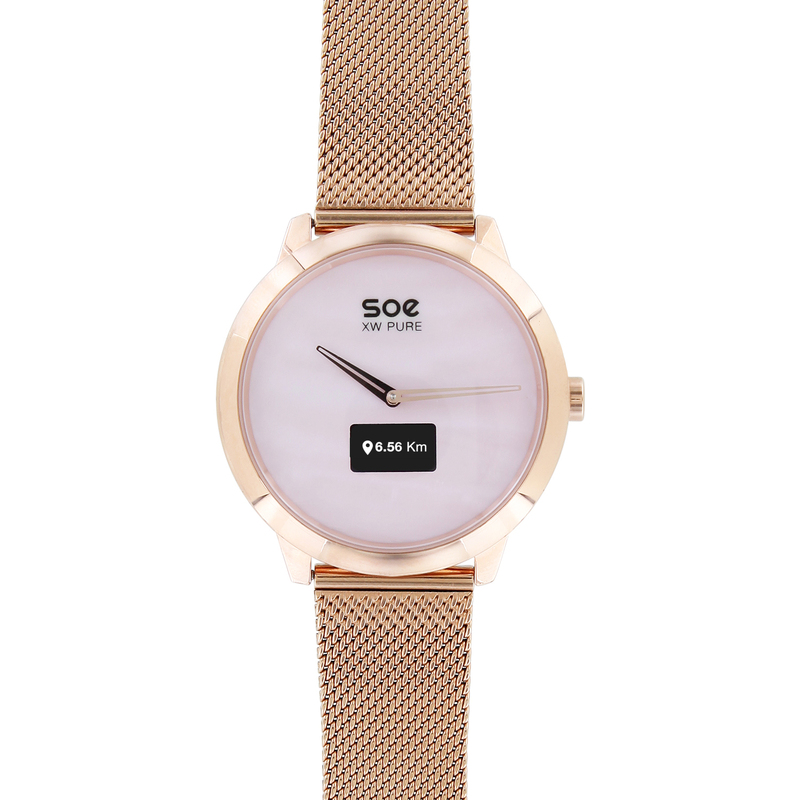 Especially due to the filigree Milanaise watch band and a timeless puristic designed dial with subtle nacre accents the SOE XW PURE fascinates. The X-WATCH SOE XW PURE is the innovative evolution of a classic lady’s watch. 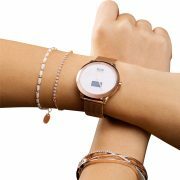 The timeless elegant and fashionable watch forms the perfect symbiosis of a fitness-smartwatch and an analog lady’s Quartz watch. The Quartz-watch is run by a separate long-lasting watch battery.